Was it a gesture of gratitude? 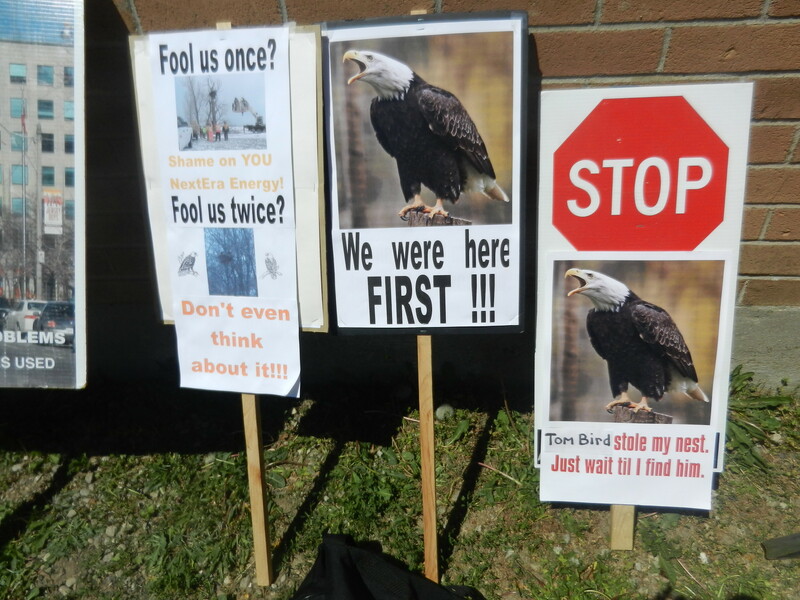 A bald eagle circled overhead just as wind turbine protesters were wrapping up a Saturday afternoon community awareness ‘celebration’ aimed at sparing the rare bird’s nest from nearby electrical power developments. Wrightman estimated 200 persons dropped in during the all-afternoon May 25 event at West Williams Community Centre, southwest of Parkhill. Group members were joined by supporters from Toronto, Haldimand County, Goderich, Clinton, Delaware-Munsee and Kettle & Stony Point. Liberal leadership hopeful Sandra Pupatello made a whistle-stop visit to Strathroy on Friday, Jan. 4. Pupatello made a brief appearance at Duke on the Sydenham restaurant to discuss her platform and meet with local Liberal supporters. As a former cabinet minister with portfolios including social and community services, education, and economic development and trade, Pupatello feels well qualified to be the leader of the Liberals and Ontario’s next premier. 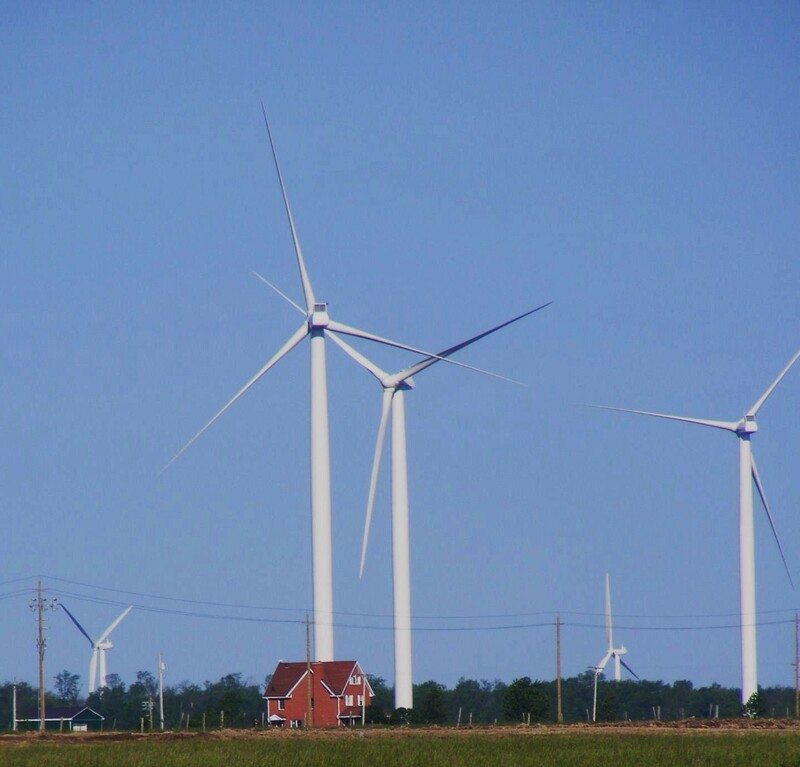 Since being elected as Member of Provincial Parliament for Lambton-Kent-Middlesex, Monte McNaughton has continually heard from constituents regarding their concerns over wind turbines and green energy. In order to address these concerns and hear from the members of his riding in person, McNaughton hosted a Wind Turbine and Green Energy Townhall Meeting at Amy’s Place in Strathroy on Monday, March 12. The banquet hall was packed, with over 300 people in attendance. Also attending the meeting were MPP’s Vic Fedeli, the Progressive Conservative Critic for Energy, Bob Bailey, Rick Nicholls and Lisa Thompson. Speaking on behalf of the Wind Action Group, a group “opposed to aggressive wind turbine development,” Rose Keunan raised the issue of decommissioning the wind turbines once their life span is finished. “We want reassurance that there will be sufficient funds to remove the turbines,” Keunan said. Richard Wakefield, who runs the blog Ontario Wind Performance, spoke out against the turbines. The ongoing issue about wind turbines has finally blow into Strathroy-Caradoc. Councilllors debated the merits of supporting a resolution calling for the provincial government to place a moratorium on future wind turbine projects. Ward 2 Councillor Larry Cowan raised the issue after council received a request from the municipality of Arran-Elderslie asking for support of their resolution regarding wind turbine. 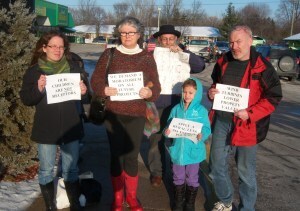 The resolution was actually forwarded to Strathroy-Caradoc by Esther Wrightman, of the Middlesex Wind Action Group. The group is actively opposed to wind turbines. 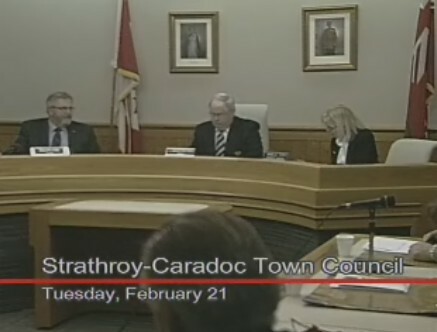 Councillor Cowan suggested Strathroy-Caradoc support a portion of the resolution that speaks to the moratorium. TORONTO- Ontariowas paying other jurisdictions to take its electricity on Earth Day. “That’s the way we celebrate Earth Day in Ontario,” energy consultant Tom Adams of tomadamsenergy.com said Monday. Ontarioexported power to neighbouring utilities at a negative price for the final two hours of Earth Day – minus 0.09 cents per kWh for one hour and minus 0.023 cents per kWh for the second. Alexandra Campbell, a spokesperson for the Independent Electricity System Operator (IESO), said demand on Easter weekend was at its traditional low, so the province exported 3,230 megawatts of electricity late in the evening Friday. The negative export price is not available to regular Ontario consumers. Regarding lasts week article on the Adelaide wind meeting where the mayor Mr. Milligan states that Adelaide-Metcalfe council did not support a moratorium on wind farms. The mayor is being disingenuous. The resolution that council supported on December 21 clearly asks the provincial government to conduct a study on adverse health affects from windmill projects before more project permits are issued. Either Mr. Milligan doesn’t read the resolutions that he votes on or he is misrepresenting the truth. This does not inspire confidence for ratepayers in the leadership of our township. In the swirling debate in rural Ontario about wind turbines and the Ontario government’s plans to saturate the countryside with these bulky appliances, it is common to hear the government line that wind energy is a solution to the income crisis that agriculture faces here in Ontario. Listed below are 5 reasons why wind energy is a poor income support program for farmers and a bad idea for the agricultural economy of rural Ontario. 1) As an income support program wind energy has extremely uneven coverage. Some municipalities will never see wind farms. Where wind farms are proposed some farmers will have the proper setbacks to site a turbine while their next door neighbour will not because of minimum distance separation to buildings. It doesn’t seem right that a government mandated program would distribute ratepayer dollars based on geography rather than need. It may be as early as March when the Adelaide Wind Farm project could be submitted to the Ministry of the Environment for approval. NextEra Energy Canada and TCI Renewables hosted their final open house at Adelaide-W.G. MacDonald School on Tuesday, Jan. 26 with an estimated 120 people in attendance. TCI Renewables sold the project to NextEra Energy in December of 2009 but has agreed to stay involved until the application process is complete. According to Mark Gallagher, project manager of TCI Renewables, some requirements under the Green Energy Act still need to be met. “We are anticipating that the final application will be submitted to the ministry by March,” said Mr. Gallagher. The proposed project will include 40 wind turbines in Adelaide-Metcalfe, with a target date of 2011 for the start of construction. Despite documentation to the contrary, Adelaide Metcalfe Township Mayor John Milligan maintains that his council is not in support of a moratorium regarding wind farms. A letter dated Dec. 22, 2009 and sent from the Township Office states that Adelaide Metcalfe supports a motion by Kawartha Lakes which calls for a full environmental study to be done to determine the possible impact of windmill projects. Esther Wrightman, of the Middlesex Wind Action Group, is encouraging concerned citizens to make their view known to Mr. Gallagher as soon as possible. 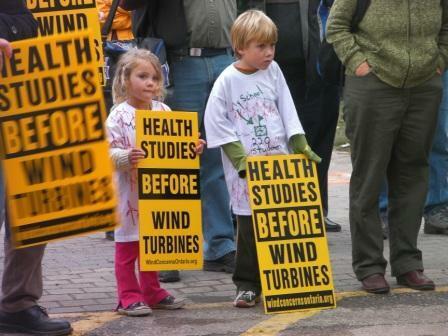 It is the children's (and all other resident's) health that the wind developers are dismissing. Despite changes under the Environmental Protection Act, the proposed wind farm project in Adelaide-Metcalfe Township is progressing as planned. In fact, a public meeting has been planned for next January at Adelaide-W.G. MacDonald School in Adelaide Township. The meeting, being held on Jan. 26, 2010, is to present any new information, explain the transition process, and identify how the combined reports meet the requirements of the Environmental Protection Act. According to Mark Gallagher, development manger for TCI Renewables, the new Renewable Energy Approvals (REA) regulations won’t affect the project. Mr. Gallagher would encourage residents to attend the meeting. “This is an opportunity to provide feedback and to speak to the project team,” said Mr. Gallagher. A public meeting is planned for mid to late January to update the public on the progress of the project. Opposed to the project is the Middlesex Wind Action Group, which has been lobbying hard to prevent the wind turbines from being built before a full health impact study can be completed. 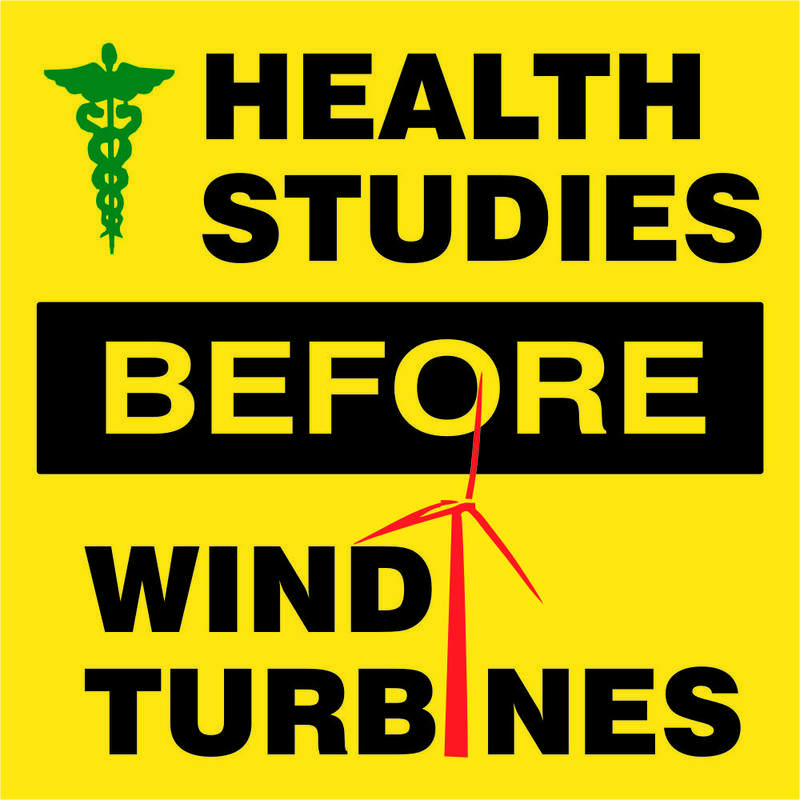 Several planned wind turbines in the area aren’t even up yet, but residents are already educating themselves as to the possible health hazards associated with them. Over 200 people attended an information meeting hosted by the Middlesex Wind Action Group on Wednesday, Sept. 9. The gym at Adelaide W.G. MacDonald was standing room only. At the heart of the issue is a proposed wind turbine farm that would see the construction of 40 turbines in Adelaide-Metcalfe Township. These are just some of the 128 wind turbines planned for this region. Adelaide- W.G. MacDonald School is a located in the middle of the wind farm project proposed for the township. Since 2006, Air Energy TCI Inc. (AET), The Canadian subsidiary of the UK based TCI Renewables, has been developing the Adelaide Wind Farm Project on nearly 7,000 acres of land within the township. Officials with TCI hope to have the construction process started by 2011, and expect these turbines to be one of the first to receive an energy sales contract from Ontario Power Authority under the new Feed-In Tariff (FIT) program. A Kerwood area woman is appealing to other Adelaide-Metcalfe residents to join her in a last minute effort to stop wind turbines from being erected in the township until more information is known about possible negative health effects. “Just stop until we get some studies done,” said Esther Wrightman, who recently produced a pamphlet and a website to try to increase awareness of possible health risks. Mrs. Wrightman with help from her brother, Dan Wrightman, has been researching the effects of wind turbines on nearby residents and said she hopes to make area residents aware of the potential dangers before it’s too late. The Wrightmans, both lifelong township residents, say they are particularly concerned with the number of wind turbines that will be located in the area of Adelaide-W.G. MacDonald School. “There are 16 within three kilometres of the school,” said Mrs. Wrightman.